I am not a fan of self-help books. I was scarred by a Zig Ziglar “I Can” course back in high school and have never fully recovered. 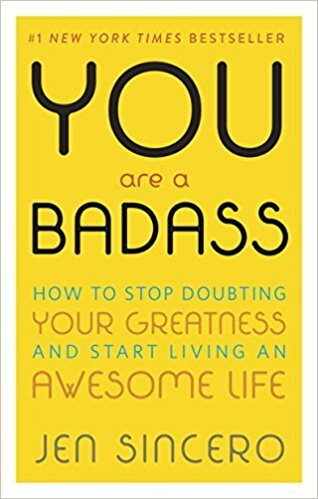 I’m not even sure the following fall into that self-help category, but I have found myself illumined, amused and empowered by all of these foul-mouthed books. If you’ve ever found yourself stymied by other people’s opinion, the belief that you are not good enough or the compulsion to adhere to societal expectations, these books are for you. If you’re just feeling stuck where you are and need a kick in the pants to get going again, these books are for you. Warning: the language does not stop on the cover. If foul language puts you off, these books are not for you. There’s nothing terribly new in this book, but author Jen Sincero has waded through all the self-help books, seminars and workshops that ever existed and synthesized them in a way that cuts through the clutter and makes you go, “Aha! I know that, but I don’t act like I know that! If you’re feeling powerless, Jen will remind you that you aren’t. If you feel like your chance to do something great has passed you by, she’ll make you believe that it hasn’t. 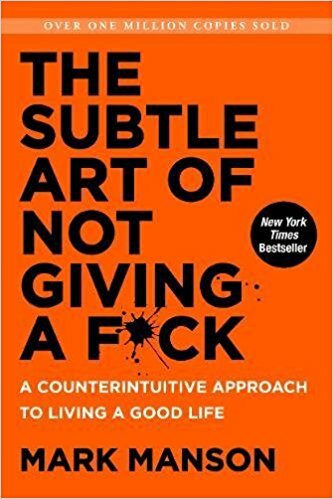 If you respond well to blunt people who tell you what you need to hear, whether you like it or not, then this book is for you. 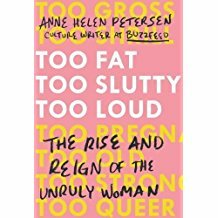 Everyone should read this book, especially women, but really everyone. I’m going to make my husband read it. It highlights unruly women of our day who are pushing and reshaping our view of women, moving us forward with each unruly act and dealing with the backlash of their challenge to the status quo. It gives you a new take on actions you may have deemed “tacky” or “unbecoming” at the time, and it’s done something I never thought any book could do–it’s made me feel like Kim Kardashian deserves my respect. This book isn’t so much about not caring what other people think, but about not letting the expectations of others and society at large lull you into believing that meeting those expectations is what you want most out of life. It’s about caring less about the things that don’t matter so that you can really focus on the the things that do–the things that really matter to you, not necessarily the things that matter to everyone else. This book is NOT about the power of positive thinking. If anything thing, it’s an indictment of a world view that insists on positivity. I love that about this book. If you read any of these books, what are your thoughts?